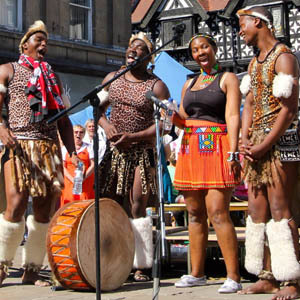 "I saw Zulu Tradition last night at Chinley. I t was a packed house and they were fantastic! and very inspirational. Everyone loved them." 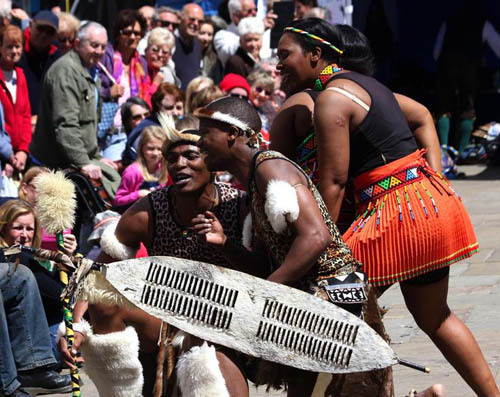 Zulu Tradition: From Kwa-Zulu Natal to the world's stage, rekindling the spark of Zulu culture and heritage, through song, dance, drama and drums. 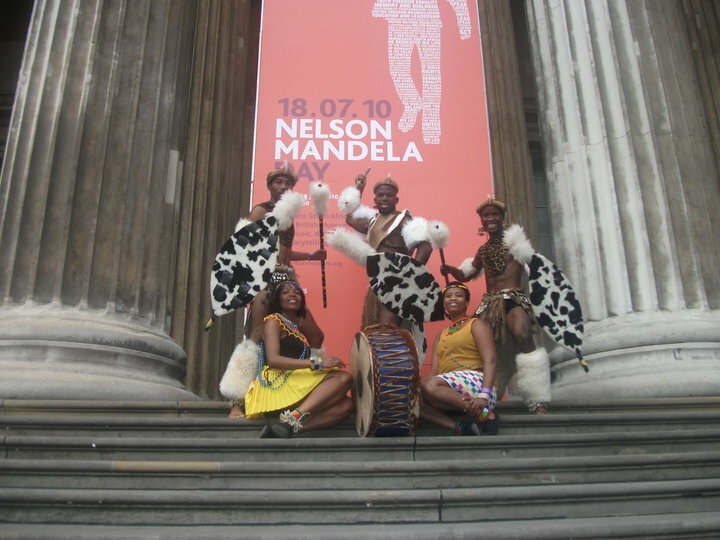 "Just wanted to say a big thank you to the Zulu stars, Thandanani, Zama, Mzwandile, Buhle, Khethukuthula and Paul for their wonderful performances for the public during Mandela Day at the British Museum. Many thanks especially for being so generous with their time to allow the visitors to be photographed with them." - Hilary Williams, The British Museum, London. Imagine a youthful, mixed gender, Ladysmith Black Mambazo with high-energy dance. 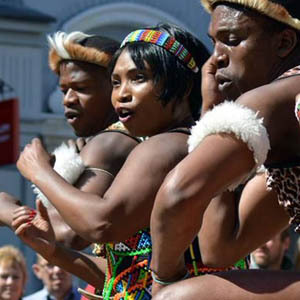 ZULU Tradition is company of genuine young Zulu singers and dancers who deliver a heady mix of traditional African harmonies and high-energy, athletic dance - all traditionally costumed - and supported by drum-rhythms. Their stage shows are exciting, enthralling and hugely entertaining and they attract enthusiastic audiences. 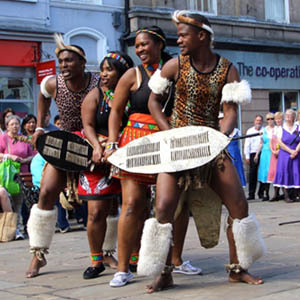 From prestigious events at Buckingham Palace, the British Museum, The Red Cross gala at Theatre Royal, Drury Lane, and the South African High Commission in London, to community events at your local school, this vibrant company of Zulus reaches back into the past to preserves ancient skills while stretching forwards to contemporary Africa. 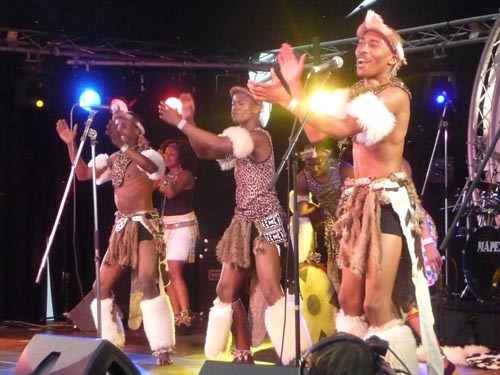 Direct from Durban in KwaZulu Natal, are not only great concert performers, but also excellent communicators who can deliver outdoor performances for special events, festivals, summer-seasons, galas and even weddings. They also offer a range of educational workshops for young people of all ages and abilities. Buhle Mhlongo leads the song, Xolani Mbatha does the introduction. Choosing peace is not an act of cowardice, but the manifestation of wisdom. 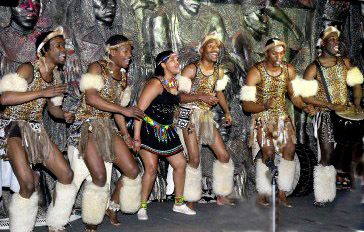 Zulu is a young, multi-telented and versatile company. They present a powerful main-stage show combining song and dance with drums. 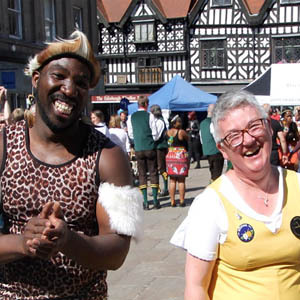 They are also happy to do outdoor (unamplified) song and dance performances (street or 'field' entertainment) and workshops for young people and adults. They are easy to work with and all of them speak English. 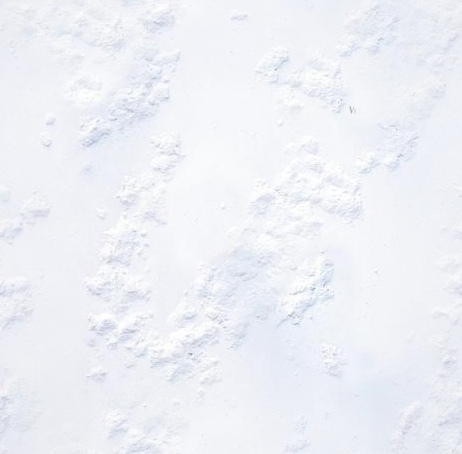 They'll work with adults, children or family groups, outdoors or indoors. They aren't stingy with their time, often taking extra time after a show for photographs and to talk to people individually (and even do impromptu teaching sessions if someone asks a relevant question). Festivals get great value out of this amazing act on so many levels. 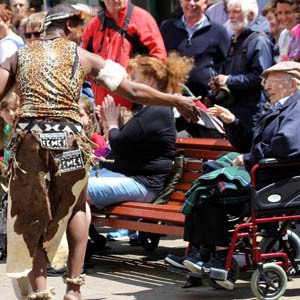 Whatever your festival there will be many opportunities for audience interaction. 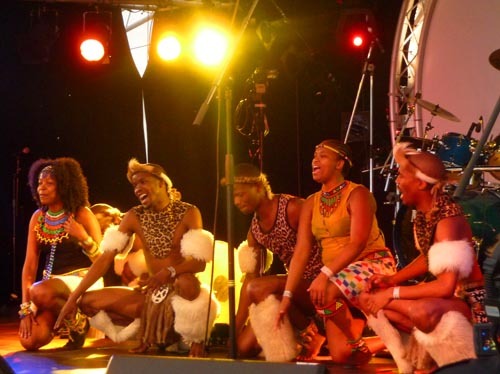 Zulu gathers admirers from across all age ranges with their rhythmic percussion, vibrant dance and soul-stirring harmony singing. See our main educational workshop page for details of possible workshop sessions. These can all be adapted for either festivals, schools or corporate days fostering team spirit. 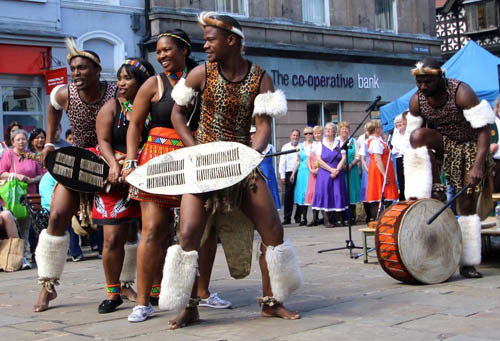 In addition to the festival performance and workshops themselves ZULU are experienced educators with a diverse programme of educational workshops and many years experience of delivering them as part of a cohesive festival outreach programme. Talk to us about one-off workshops or a schools residency leading up to your festival. 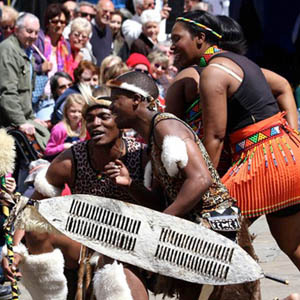 ZULU Tradition offers a total cultural experience! Please note private events, corporate events, weddings and educational concerts and workshops are not listed. Please enquire for available dates and school concerts and workshops. TLA Anniversary Showcase, 92 The Avenue, LS17 9LD.